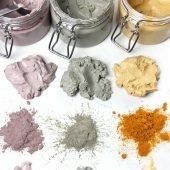 COLOR PREP: In small separate containers, combine 1/2 teaspoon of Merlot Sparkle Mica, Evergreen Mica, and Gold Sparkle Mica with about 1 teaspoon of 99% isopropyl alcohol. Mixing the mica with alcohol helps it mix into the soap easily without clumps. Set colors aside. 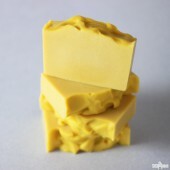 ONE: Chop 32 ounces of Honey Melt and Pour Soap Base into small uniform pieces. 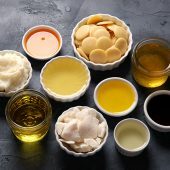 Place 16 ounces of the chopped Honey Melt and Pour Soap Base into one heat-safe container, and the remaining 16 ounces into another heat-safe container. Then, chop 22 oz. 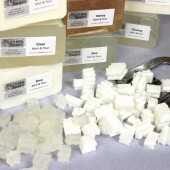 of Goat Milk Melt and Pour Soap Base into small uniform pieces. 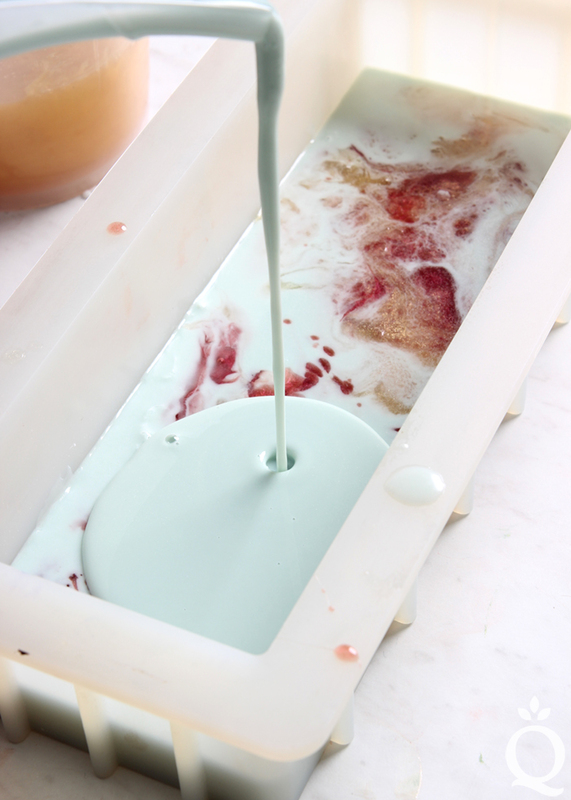 Place all of the Goat Milk Melt and Pour Soap Base into one large heat-safe container. 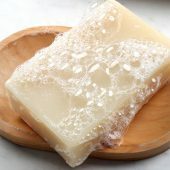 TWO: Place the container of Goat Milk Melt and Pour Soap Base into the microwave and melt using 30-60 second bursts. 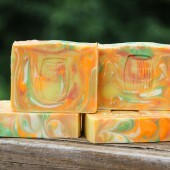 Between each burst, stir the soap to help it melt evenly and prevent overheating. Continue heating and stirring until the base is completely melted. 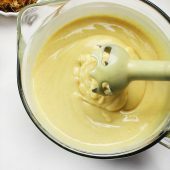 THREE: Melt both containers of Honey Melt and Pour Soap Base in the microwave using about 30-40 second bursts. 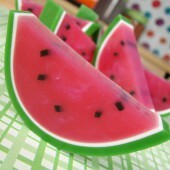 Mix between each burst to help it melt evenly and prevent overheating. Continue heating and stirring until the base is completely melted. 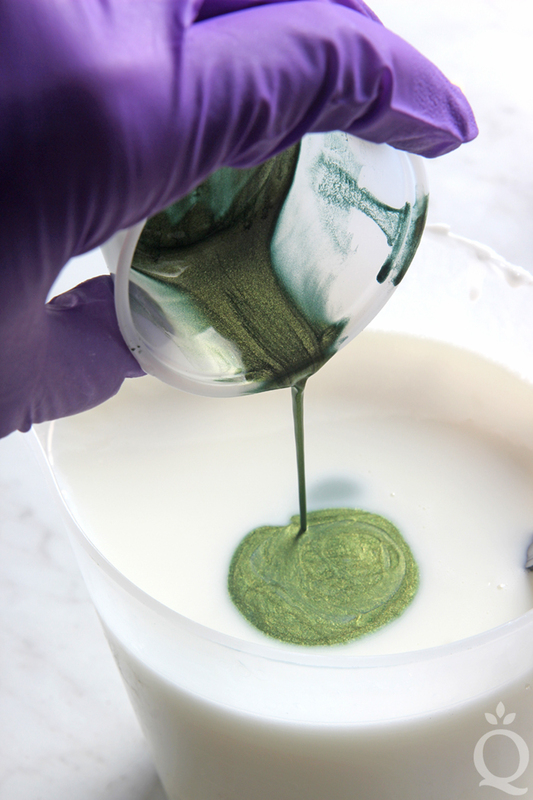 FOUR: Add all of the dispersed Evergreen Mica to the melted goat milk soap and stir to combine. 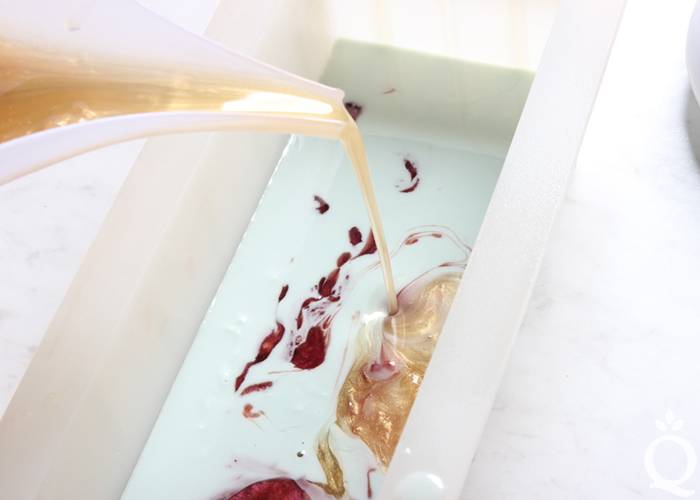 Then, add all of the dispersed Gold Sparkle Mica to one container of melted honey soap, and all of the dispersed Merlot Sparkle Mica to the other container of melted honey soap. Stir to combine. 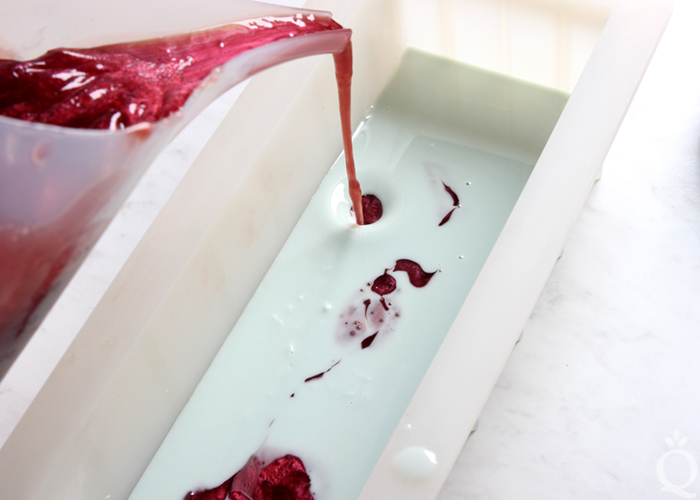 FIVE: Add 0.3 ounces of the Cranberry Fig Fragrance Oil to the green soap and stir until completely combined. 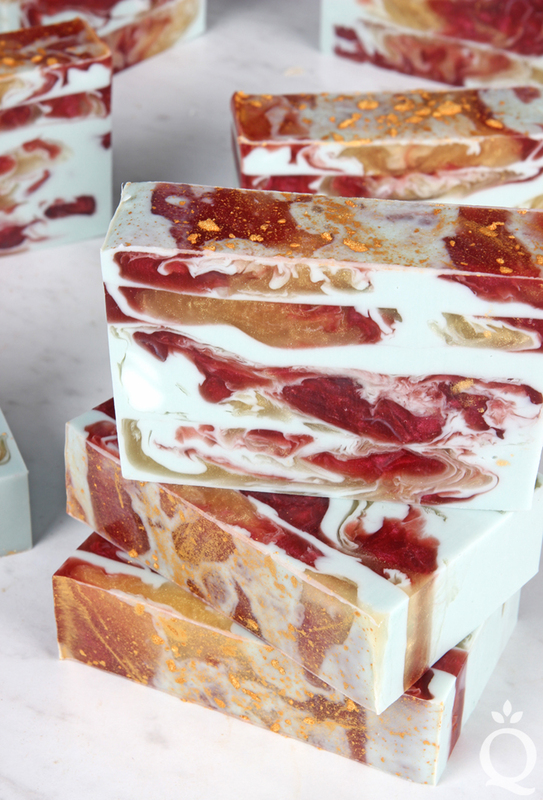 Then add 0.2 ounces of the Cranberry Fig Fragrance Oil to the gold and burgundy soap. 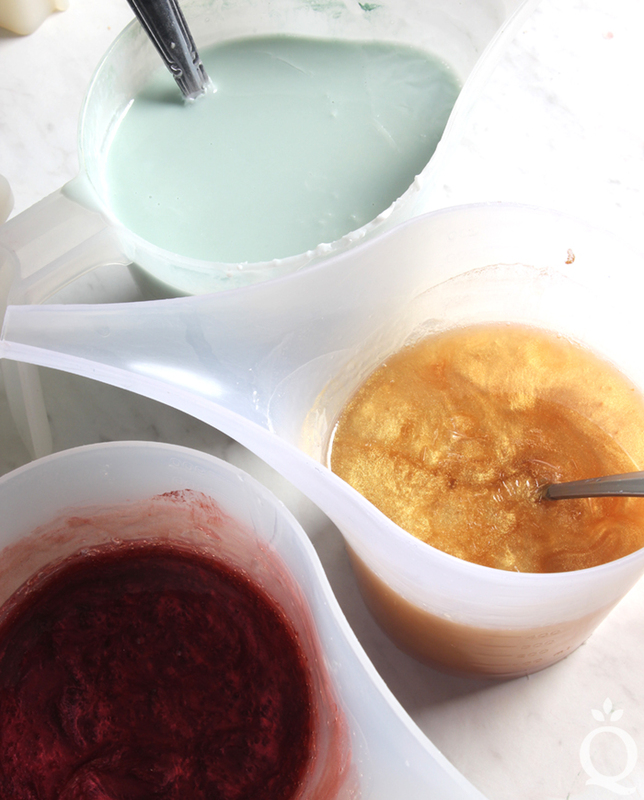 Stir completely to combine the colorants. SIX: Check the temperature of each container of soap. 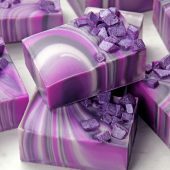 The ideal temperature for swirling melt and pour is around 125 ° F. If the soap is too hot the colors will muddle together, but if it’s too cold they won’t swirl. 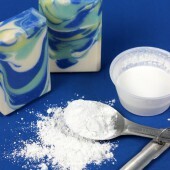 If some of the soap has cooled too much, place it in the microwave and reheat using short 5-10 second bursts. SEVEN: Once each container is in the correct temperature range, pour some of the green soap into the mold to completely cover the bottom. 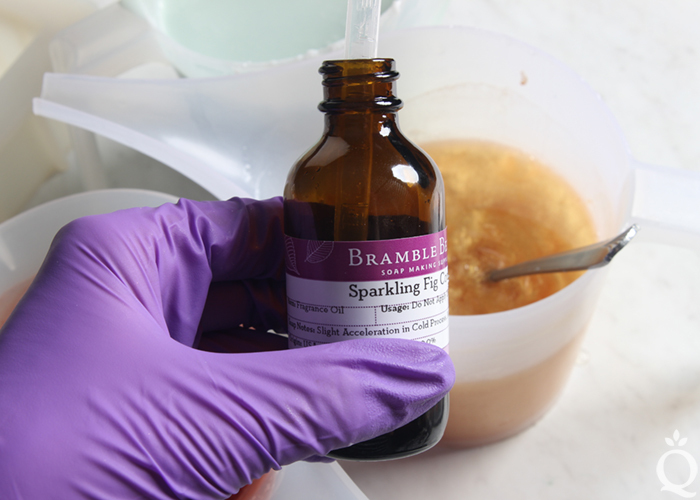 Spritz with alcohol to get rid of bubbles and pour a small amount of the green and burgundy soap into the green. 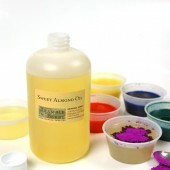 Pour at varying heights and in varying areas to help the soap swirl. 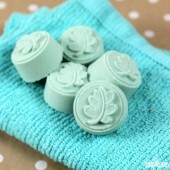 Allow the soap to cool and harden slightly for about 2-3 minutes. 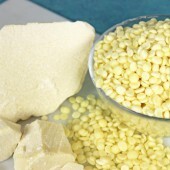 In this time it will develop a thin skin but may not be completely firm. 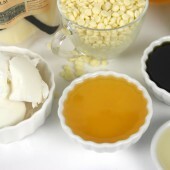 Allowing the soap to cool slightly prevents the colors from muddling together. EIGHT: Spritz the soap in the mold with alcohol to help the layers stick together. 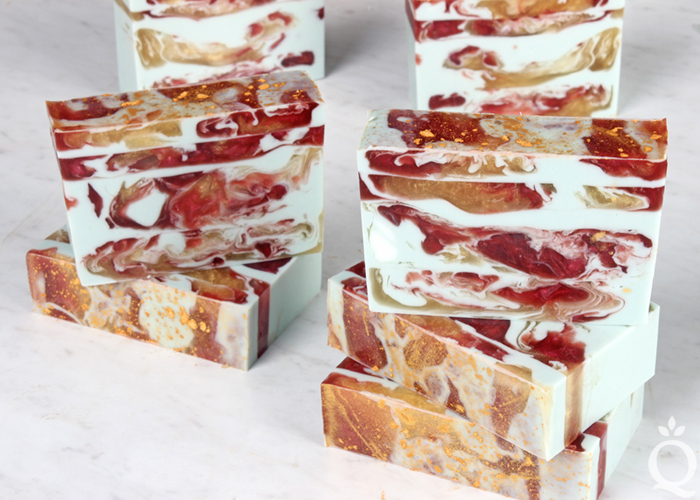 Pour a thin layer of the green soap, spritz with alcohol to get rid of bubbles, then pour burgundy and gold soap soap in random areas to create a swirl effect. 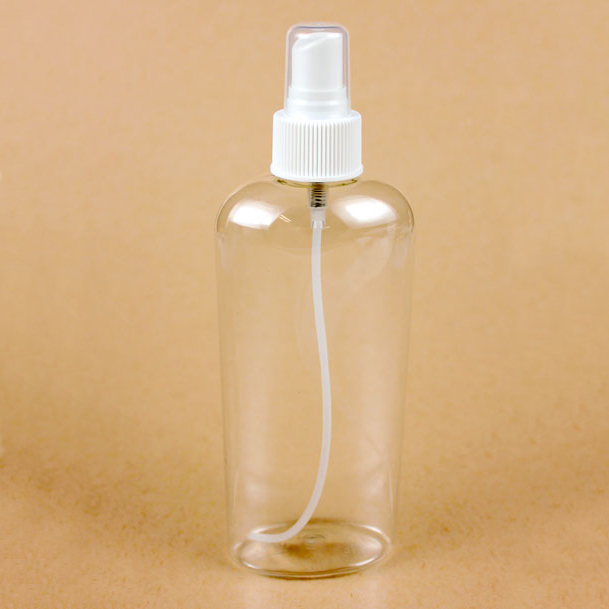 Spritz with alcohol to get rid of bubbles, and allow to cool and harden for about 2-3 minutes. NINE: Continue this process until all the soap has been poured into the mold. 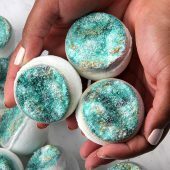 Immediately after pouring the last bit of soap into the mold, spritz with alcohol to get rid of bubbles, then use your fingers to sprinkle Gold Sparkle Mica onto the soap. Spritz again with alcohol. TEN: Allow it to fully cool and harden for about 4 hours or up to overnight. 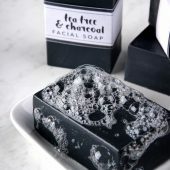 It’s tempting to cut into the soap while it’s still warm, but don’t do it! 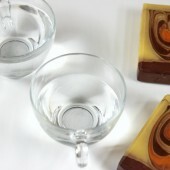 Layers are more likely to separate when the soap is cut while still warm. Once the loaf is cut into bars, wrap the bars in plastic wrap to help avoid glycerin dew. Enjoy! 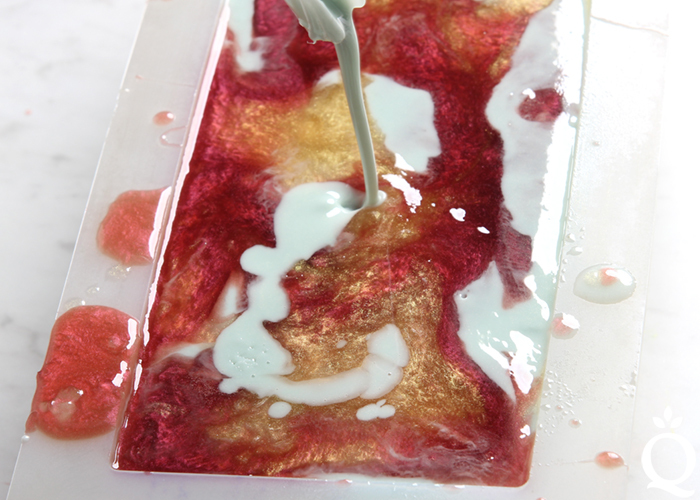 This swirled melt and pour project is perfect for fall and the holiday season. 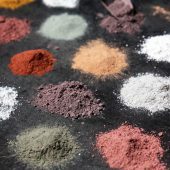 COLOR PREP: In small separate containers, combine ½ teaspoon of Merlot Sparkle Mica, Evergreen Mica, and Gold Sparkle Mica with about 1 teaspoon of 99% isopropyl alcohol. Mixing the mica with alcohol helps it mix into the soap easily without clumps. Set colors aside. 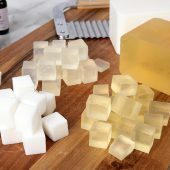 Chop 32 ounces of Honey Melt and Pour Soap Base into small uniform pieces. 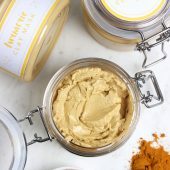 Place 16 ounces of the chopped Honey Melt and Pour Soap Base into one heat-safe container, and the remaining 16 ounces into another heat-safe container. Then, chop 22 oz. 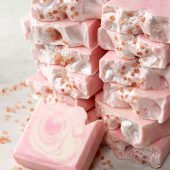 of Goat Milk Melt and Pour Soap Base into small uniform pieces. 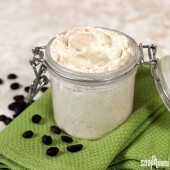 Place all of the Goat Milk Melt and Pour Soap Base into one large heat-safe container. 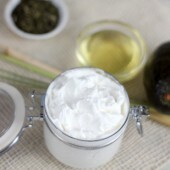 Place the container of Goat Milk Melt and Pour Soap Base into the microwave and melt using 30-60 second bursts. 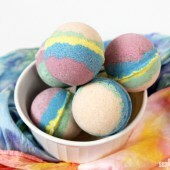 Between each burst, stir the soap to help it melt evenly and prevent overheating. Continue heating and stirring until the base is completely melted. 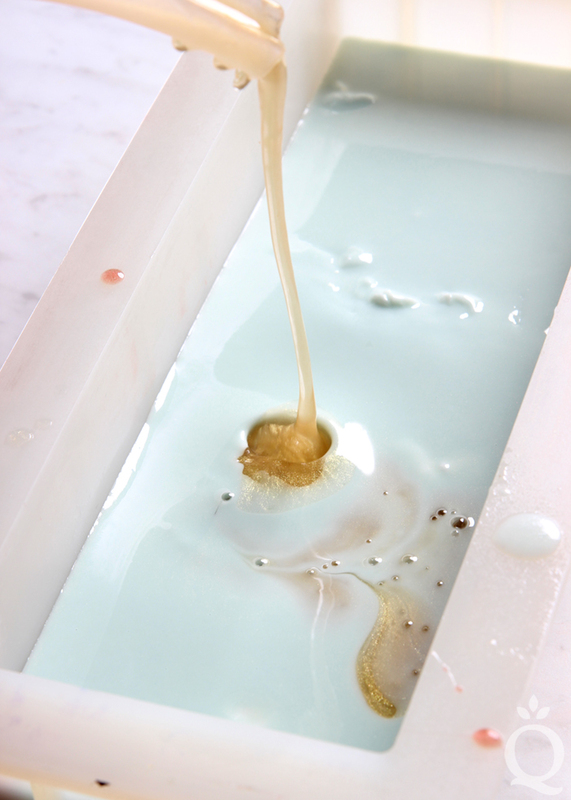 Melt both containers of Honey Melt and Pour Soap Base in the microwave using about 30-40 second bursts. Mix between each burst to help it melt evenly and prevent overheating. Continue heating and stirring until the base is completely melted. 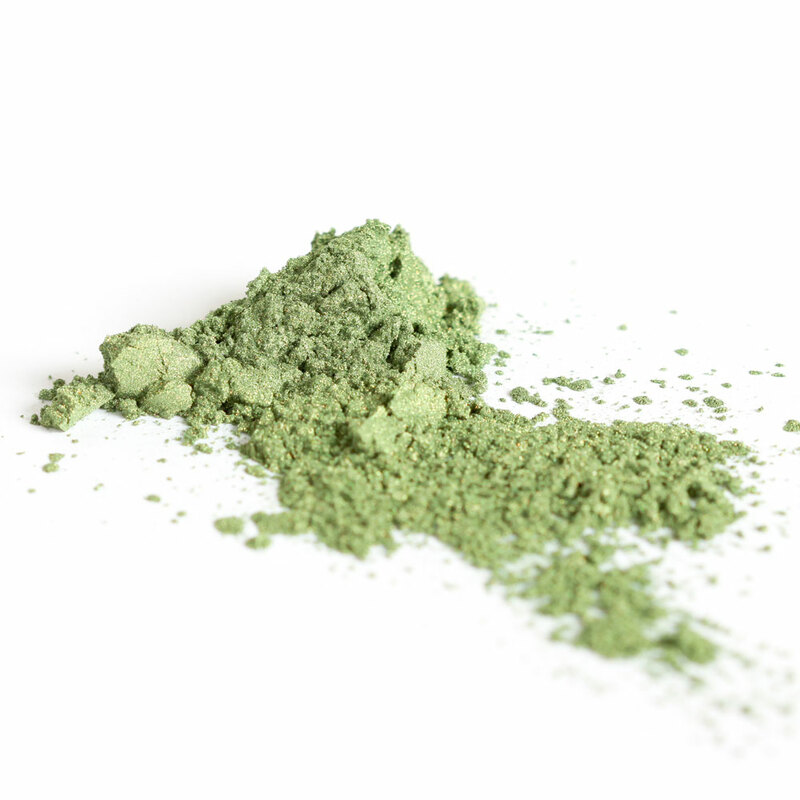 Add all of the dispersed Evergreen Mica to the melted goat milk soap and stir to combine. 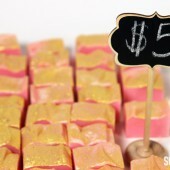 Then, add all of the dispersed Gold Sparkle Mica to one container of melted honey soap, and all of the dispersed Merlot Sparkle Mica to the other container of melted honey soap. Stir to combine. 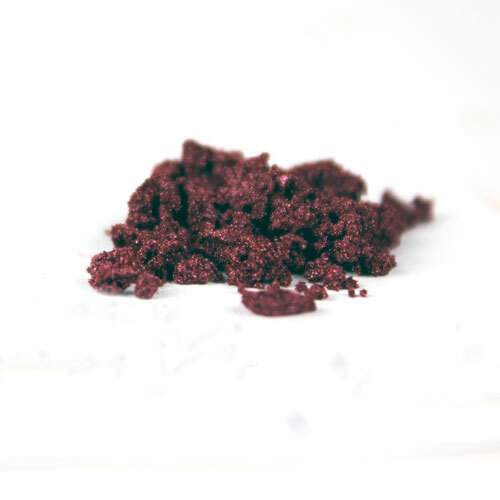 Add 0.3 ounces of the Cranberry Fig Fragrance Oil to the green soap and stir until completely combined. 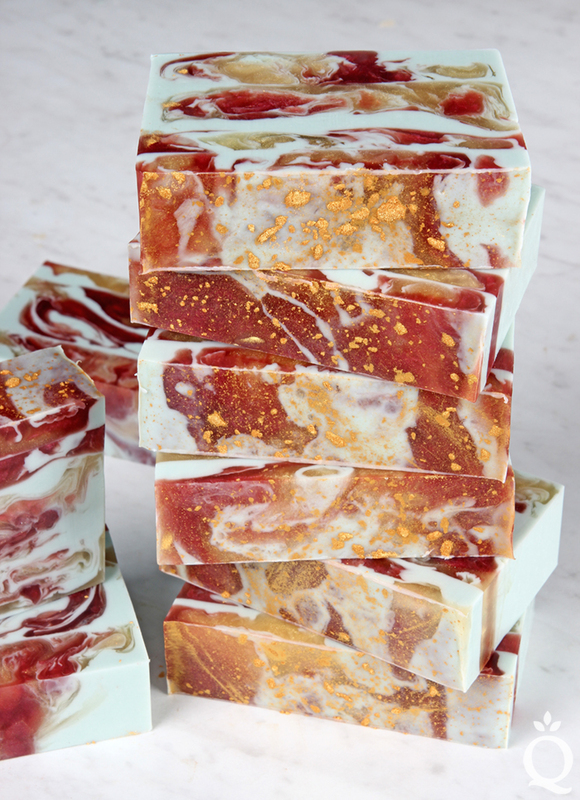 Then add 0.2 ounces of the Cranberry Fig Fragrance Oil to the gold and burgundy soap. 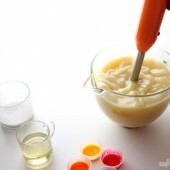 Stir completely to combine the colorants. Check the temperature of each container of soap. 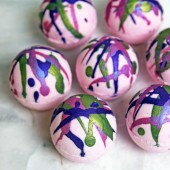 The ideal temperature for swirling melt and pour is around 125 ° F. If the soap is too hot the colors will muddle together, but if it’s too cold they won’t swirl. 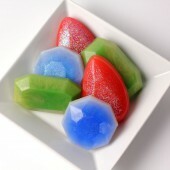 If some of the soap has cooled too much, place it in the microwave and reheat using short 5-10 second bursts. 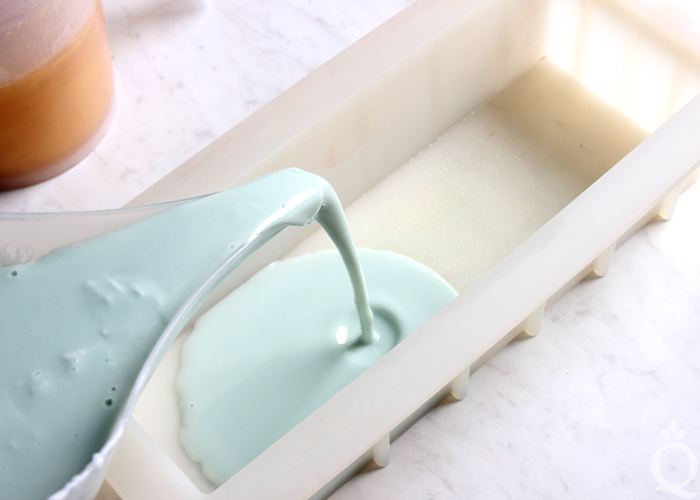 Once each container is in the correct temperature range, pour some of the green soap into the mold to completely cover the bottom. 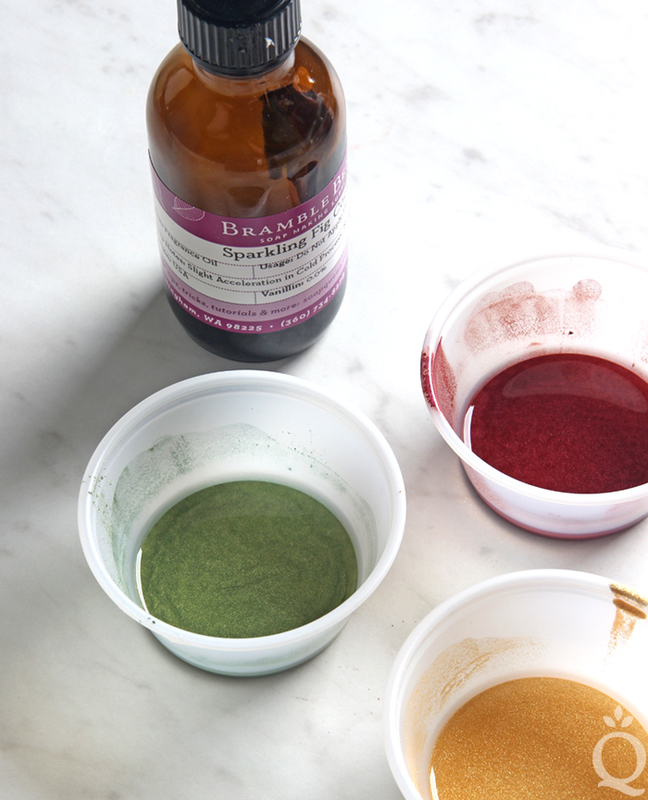 Spritz with alcohol to get rid of bubbles and pour a small amount of the green and burgundy soap into the green. 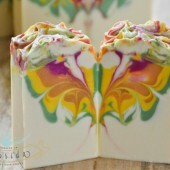 Pour at varying heights and in varying areas to help the soap swirl. 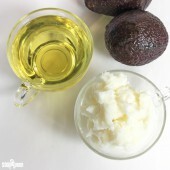 Allow the soap to cool and harden slightly for about 2-3 minutes. 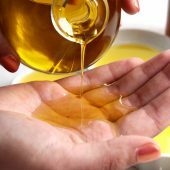 In this time it will develop a thin skin but may not be completely firm. 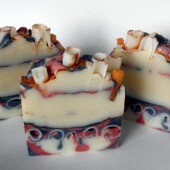 Allowing the soap to cool slightly prevents the colors from muddling together. 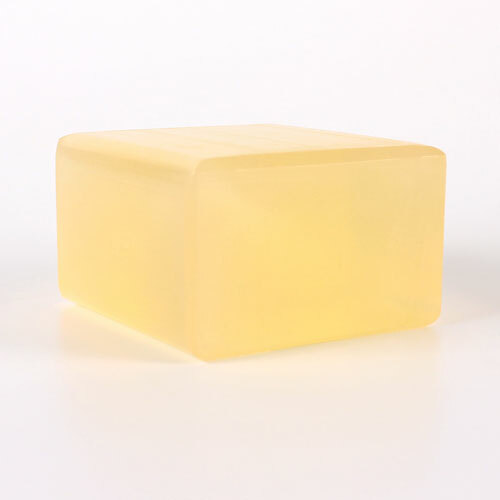 Spritz the soap in the mold with alcohol to help the layers stick together. 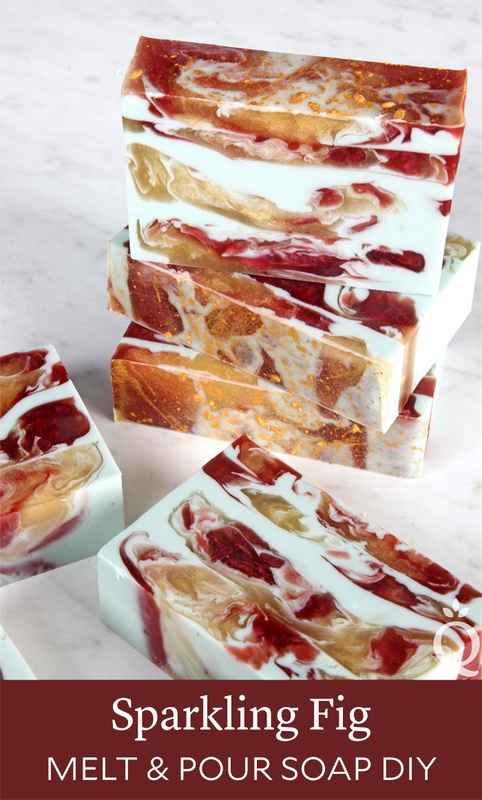 Pour a thin layer of the green soap, spritz with alcohol to get rid of bubbles, then pour burgundy and gold soap soap in random areas to create a swirl effect. Spritz with alcohol to get rid of bubbles, and allow to cool and harden for about 2-3 minutes. Continue this process until all the soap has been poured into the mold. 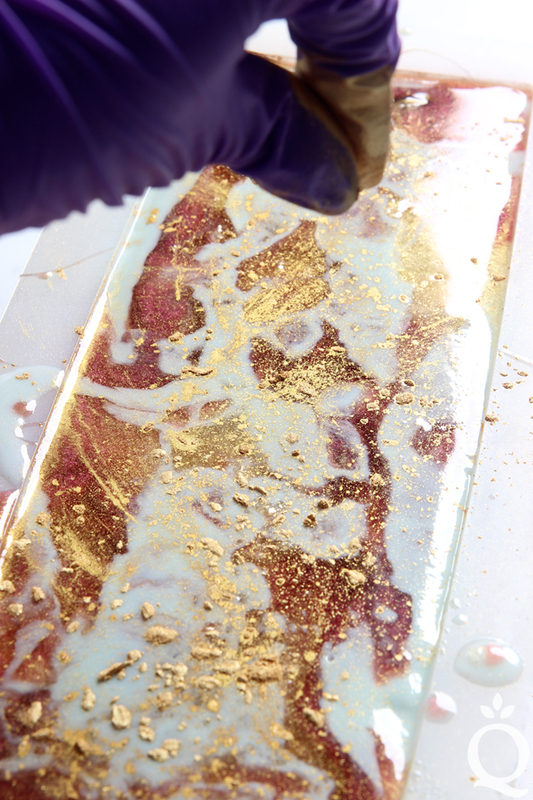 Immediately after pouring the last bit of soap into the mold, spritz with alcohol to get rid of bubbles, then use your fingers to sprinkle Gold Sparkle Mica onto the soap. Spritz again with alcohol. Allow it to fully cool and harden for about 4 hours or up to overnight. 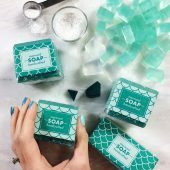 It’s tempting to cut into the soap while it’s still warm, but don’t do it! 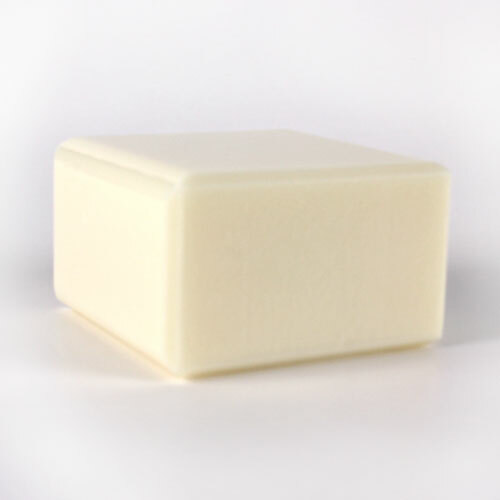 Layers are more likely to separate when the soap is cut while still warm. Once the loaf is cut into bars, wrap the bars in plastic wrap to help avoid glycerin dew. Enjoy! Help! My layers didn’t stick. I sprayed alcohol on each layer. Did let the layers harden too much? Really bummed, wasted a lot if soap base. Guess I could remelt and report but it won’t be very pretty. Any advice for next time? 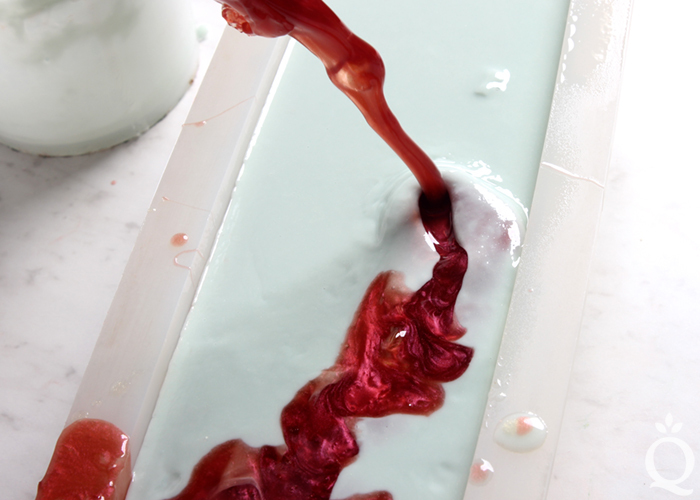 Layering melt and pour soap can be tricky! 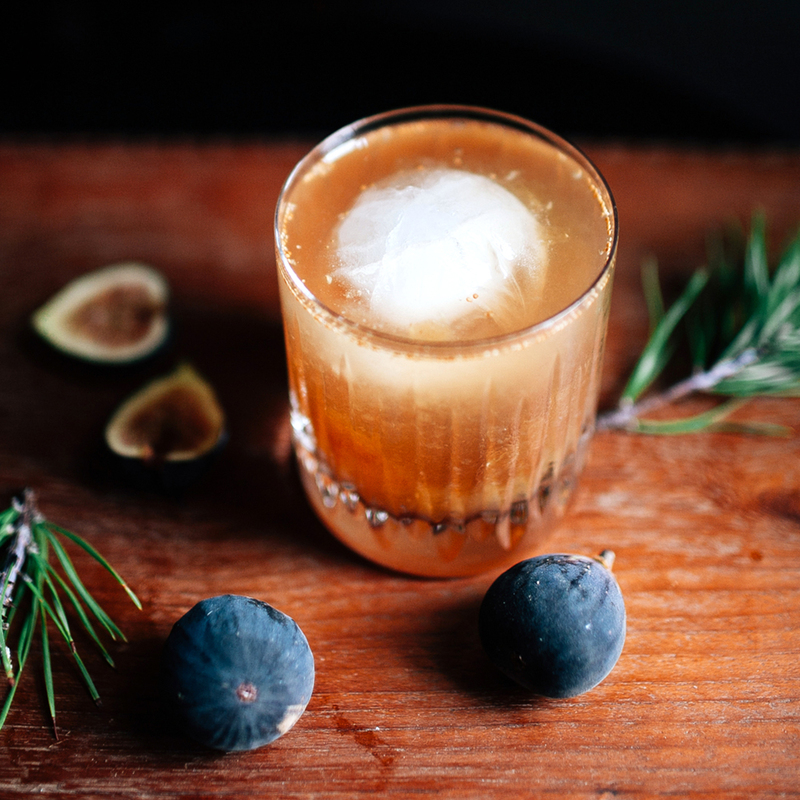 It usually comes down to a timing issue like you mentioned, the layers hardening too much before pouring the next. 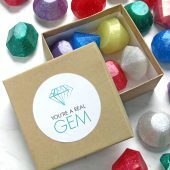 You do not have to remelt and repour though! You can take a small amount of clear MP and use that like a glue between layers. Scoring the layers first can also help them stick together. 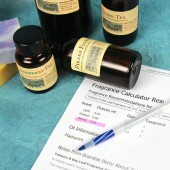 Your printable recipe needs revision. It calls for 22oz. 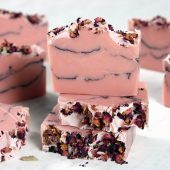 cranberry fig cocktail fragrance oil (which is supposed to be the goat’s milk soap) and doesn’t list the goat’s milk soap at all. Thank you for letting us know. We will work on getting that fixed. 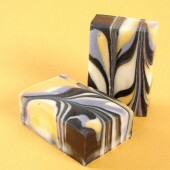 Made a batch of this soap……the fragrance is amazing, and the bars look so pretty! But the soap bar is very slippery in the shower…..is it because of the glycerin base? Any tips to get around this issue? 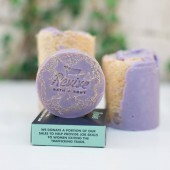 I’m so glad you loved this soap! 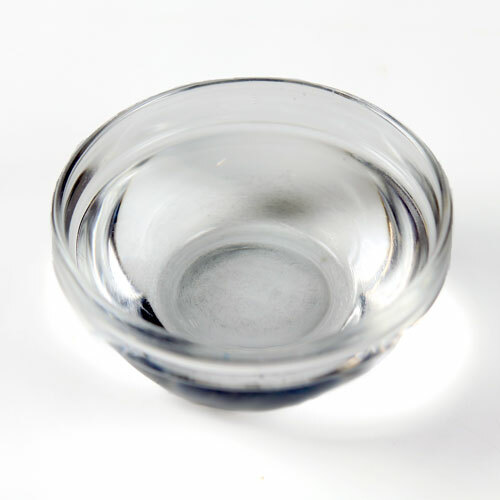 You’re right, it is a bit more slippery since it is a glycerin base. Using a raised soap dish that keeps the soap from sitting in water should help with this. 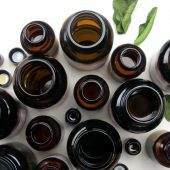 Will 91% alcohol work for spritzing? 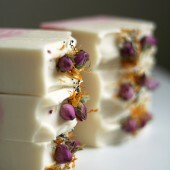 Hie, If i follow the recipe of yours, how many soaps will i be able to make. 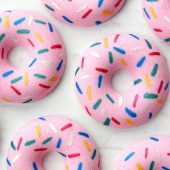 As i am new to soaping i am not able to source the right quantity of ingredients. sometimes it is less, sometime it is more. Can you help me please. 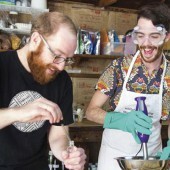 This recipe makes 3 pounds of soap. You will get 8-10 bars depending on how thick they’re cut. 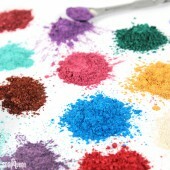 Will the mica powder colors bleed and leave colorant on your skin? 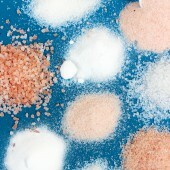 I try to remain as close to natural as possible and I have mica powders but never thought about adding them to my soap. 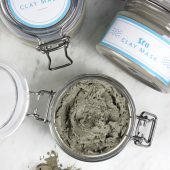 Love your website as well as Brambleberry products. 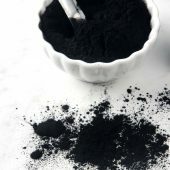 The micas can come off on the hands if too much is used. The amounts in this recipe are fine, we don’t notice that transfer. 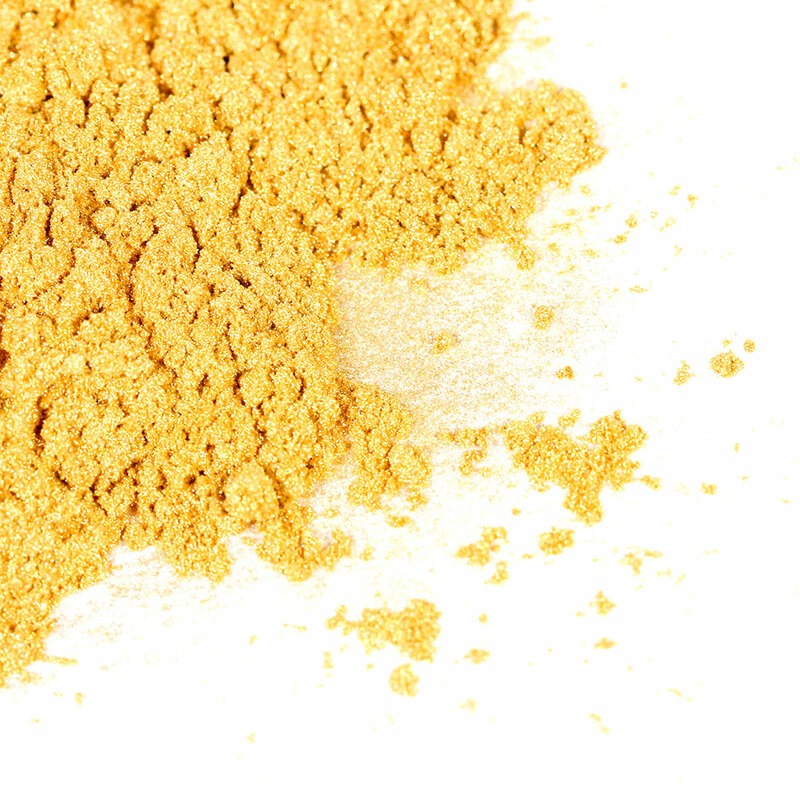 A good amount to start with is about 1/2 teaspoon of mica per pound of soap. 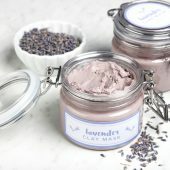 Can I substitute the Goat Milk Melt and Pour Soap Base for a Shea Butter Melt and Pour Soap Base? 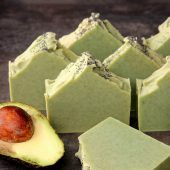 I have some vegans in my family that I would like to gift this soap to. 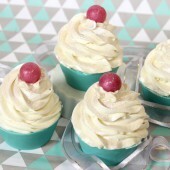 Yes, you can use Shea Melt and Pour Base in this recipe. 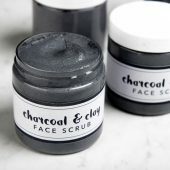 That will feel really nice on the skin. I want to make this as a CP. Any recommendations? I was thinking of doing a Goat milk CP. What do you think? 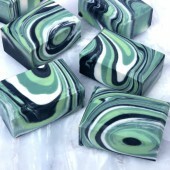 You can get really lovely swirls with cold process soap. An in-the-pot swirl would give you a similar look to the bars pictured above. I’ll link a few tutorials below that show you how to do that technique. The gold and the merlot colors came out fine. 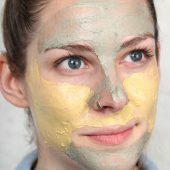 But what you’re showing as white in your pictures is very blue green in my soap, and I used the exact amount of mica. 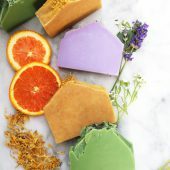 I make my soaps based on the colors in your pictures. Kind of disappointing. The lights in our studio are fairly bright, so they may make the colors appear lighter. The good news is you can adjust the colors in these recipes to your preference. If you like, you can start with half our recommended amount and see what you think. If you want it darker you can add more from there. I am a 71 yr old Grandma who has become obsessed with making soap. My family and friends are getting more soap than they know what to do with ha ha. 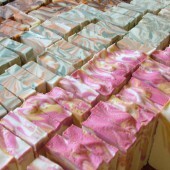 I need to find an outlet for my soaps and maybe make a little money back on the cost as well. 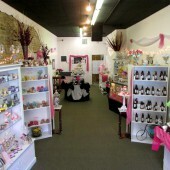 I love Brambleberry and Soap Queen and get all my supplies from you. I only do melt and pour and especially love the swirling techniques. Keep those tutorials coming. I love having a hobby at 71 years old and love having Brambleberry along with me. 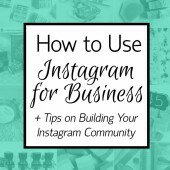 will there be a video tutorial on this?